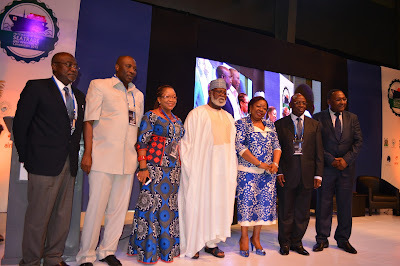 Abubakar made the plea in Lagos in a keynote address he delivered at the first International Sea Trade Convention titled 'Exploring New Trade Frontiers’. He recommended that Africa should develop export-based economies and stressed the need for adequate transport logistic services and infrastructure. The former head of state also suggested effective inter-modal transport system for the continent to optimise its potential, export value and earnings. Abubakar called for a properly-designed port system to sustain trade. He noted that trade patterns in Africa had remained the same, an indication that there had not been moves to push for the desired dynamism to grow trade in the continent. ``Analysts' observation is that trade patterns in Africa have remained virtually the same, even after decades of independence from colonialism. ``Africa's outbound cargo are still largely export commodities to the Western /Asian countries, while inbound cargo consist of finished products from those foreign trading partners. He expressed disappointment that the prevailing trading routes still remained along the colonial relationships, such as Francophone/Luxophine and Anglophone African countries. Abubakar said goods were still exported and imported by African countries from their respective erstwhile European colonialists. He noted that intra and inter-trade between and within Africa countries had failed to develop in tandem with economic growth recorded in the continent. The former head of state, however, said financial system must support export trade to allow easy transfer of funds and robust insurance/export guarantee schemes as important factors for export trade. Also speaking, Chief Adebayo Sarumi, the Chairman, Convention Planning Committee, Chief Adebayo Sarumi expressed concern about the design of Nigerian ports. Sarumi said the ports were not designed to support export, adding that there must be a reversal of that pattern now that awareness of exports had hit the economy. ``Our ports have been designed for imports only, without consideration for export, which is what the economy needs for growth. ``Our ports are designed to receive other peoples' cargoes and not designed to take out Nigerian cargo. ``The time has come for Nigeria to be outward-looking. We have the inward looking already. ``I know there are processes for trade and possibly, the first thing to do is import -substitution. ``Then, when your factory is able to produce well enough for local consumption and your farms are able to give food security, you can begin to export,’’ Sarumi said. He said that Nigeria, and Africa generally, should learn from Turkey’s experience in order to grow export trade. The Executive Secretary, Nigerian Shippers' Council, Mr Hassan Bello, mentioned the need for Nigeria to develop its export base or leave the economy to perish. ``For every container that comes, it leaves here empty. ``We have laden containers coming into Nigeria, but transported back empty and this affects almost everything, including the cost of shipping. ``It is very important to diversify. It is necessary to do it and the way to do it is that our economy must not be import-dependent,’’ Bello said. The executive secretary said Nigeria would only be a maritime nation when ships were owned by indigenous owners, to help reduce the cost of freight. He said that the continent lacked export link as some items for export had to get to Spain first before going to other African countries.